Give your cat access to her litter box without giving her litter box access to your home! 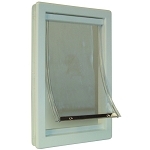 This durable cat flap fits any interior door that’s 1” to 2” thick. Your cat can come and go from the room where her litter box is housed – even when the door is closed. A sliding lock gives you the option to bar access whenever you choose. I think that this has been a good little pet door for cats. 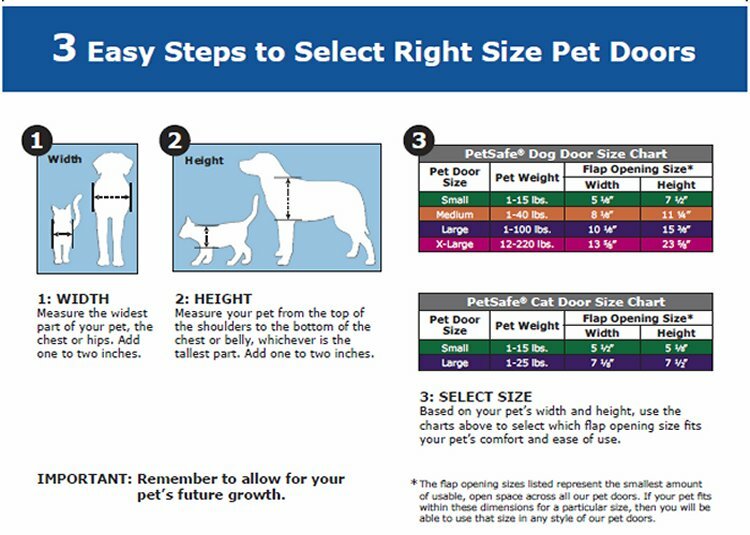 I don't see it working with many dogs, unless they are quite small, but if you have cats like me then that is not an issue. Easy to install and lock, this is great. 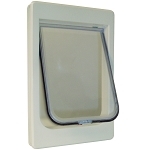 I just purchased an electric car (Nissan Leaf) and installed this to allow access to my charging cord, which lives in a utility closet next to the garage. It works very well for this, and the little locking feature is good enough to keep out the creatures outside. The plastic seems to be strong enough, and it has a nice appearance as well. I was going to paint it but decided it looked good enough that I don't need to. A well designed and constructed device. A great little pet door for my cats! 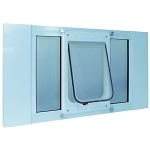 This is a really nice little pet door for my cats. It is the perfect size and it stays closed really well. No issues installing, it looks good on my door. My cats love the freedom they get with this, no more whining for me to let them out. 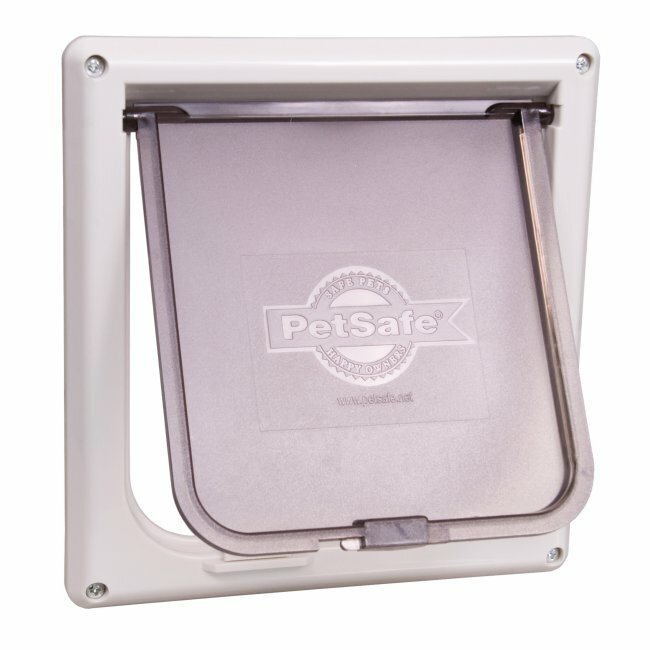 A REALLY good price for an effective and useful pet door! I have 2 Patterdale Terriers. Each about 18 lbs..they get through just fine! Even the older one who is a little frail in the hips... Like that I can lock it!